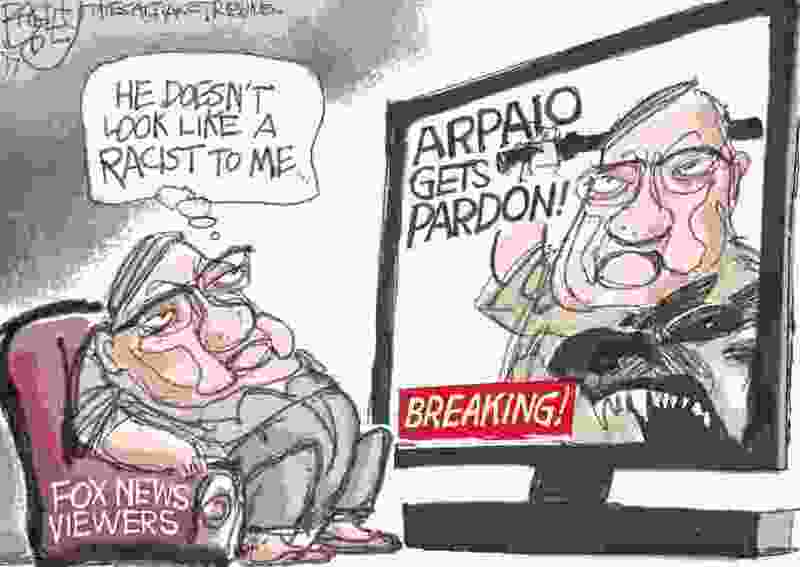 (Pat Bagley | The Salt Lake Tribune) This Pat Bagley cartoon, titled "Arpaio Gets Pardoned," appears in The Salt Lake Tribune on Tuesday, Aug. 29, 2017. This Pat Bagley cartoon appears in The Salt Lake Tribune on Tuesday, Aug. 29, 2017. You can check out the past 10 Bagley editorial cartoons below. Want more? Become a fan of Bagley on Facebook at www.facebook.com/notrobertkirby. Honey, I Zinkied the Monuments!